Hundreds of spectators have visited the airport overlook and stopped along Yorkmont Road to snap photos of the world’s largest aircraft this past weekend. The Antonov An-225 prototype was built by the Soviet Union in 1988 to ferry the Soviet space shuttle, the Buran. After the collapse of the Soviet Union and the cancellation of the Buran space shuttle project, the sole An-225 spent years in storage until Ukrainian Antonov Airlines began using it and its smaller siblings to transport cargo too heavy or too large for other aircraft. This is the Antonov’s second visit to Charlotte this year. In June the plane delivered power plant rotors to be repaired by Siemens. 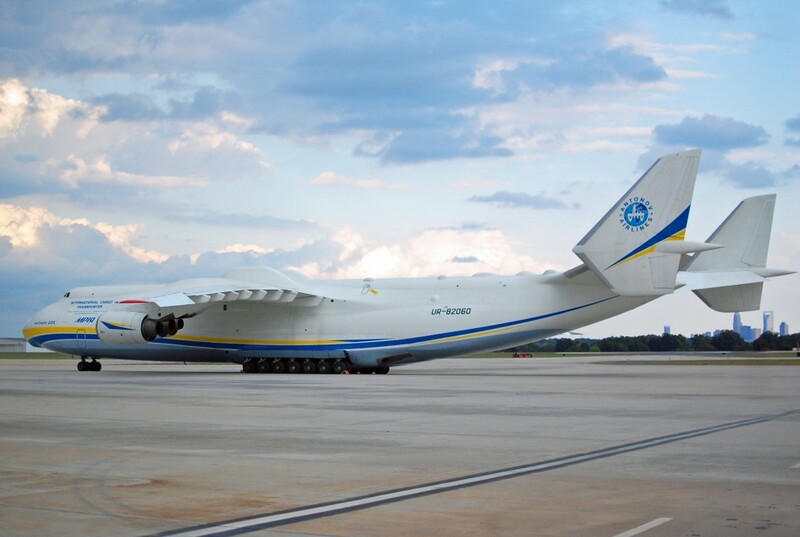 The Antonov was scheduled to depart Charlotte Saturday evening, but engine trouble delayed the flight until 6:30 PM on Monday. Here is a video I shot of it taking off.